An event that fulfils these five criteria is guaranteed to get me interested so you can understand that I’m pretty excited for 5 Reel Film’s latest screening taking place on Sunday 30th June at The Adelphi. On the surface this seems like a reasonable statement but it’s one I disagree with. After a screening we as viewers have all taken a shared journey, and the experience of watching a film together gives us all something in common. Maybe we’ve all laughed along at the bedroom antics in The Exorcist or shuddered in terror at the offensiveness of Knocked Up, whatever it is something now links us all together. What’s more we’ve all got our own interpretation of what happened and what it all meant. I want to find out what the person next to me thought; does the guy at the back completely disagree with me? 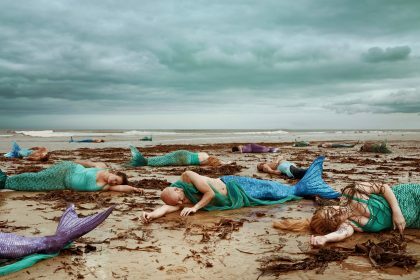 What about the woman at the front? Her ideas could totally blow my mind. I guess the problem lies with location. Multiplexes don’t really lend themselves to discussion. The general idea after the film is to get out as quickly as possible. All these new ideas and possibilities and we’re just thrust out onto the cold, harsh streets like newborns with no idea what to do (maybe a slight exaggeration). This is why events like 5 Reel Film are such a joy. They provide not just the film but a venue afterwards where you can talk (and drink) to your hearts content (last orders) about the film and what it meant to you. Take that social experience! But wait there’s more! 5 Reel Film’s love of the moving image also extends to poster art. Each film shown has specially commissioned piece made for the screening and available for sale on the day. 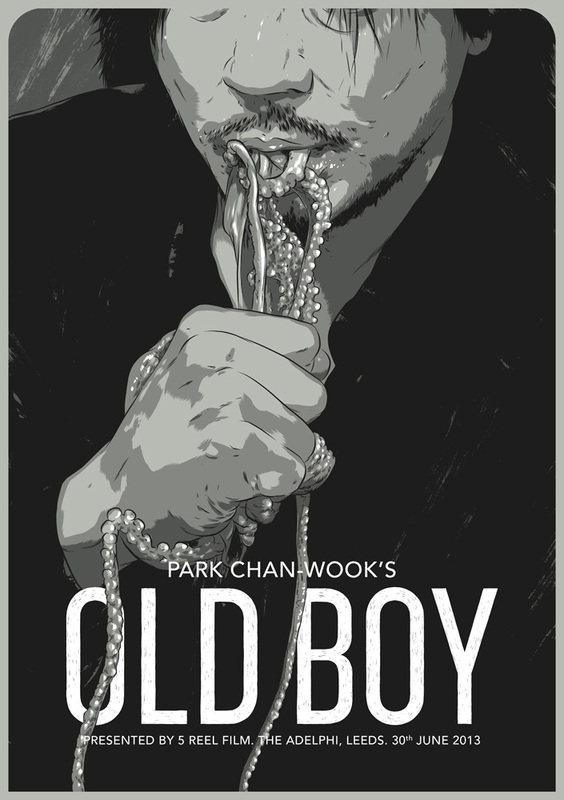 The screening on Sunday is going to being the South-Korean modern classic Oldboy which if you haven’t seen already is the perfect choice for an event like this. Trust me you’ll want to talk about it afterwards and more than likely need a drink. The artwork for the poster, designed by Matthew Woodson, is pretty stunning (see above) and will certainly be adorning my wall very soon. Pop along and find out just how social a film screening can be and if you’re still not convinced then there’s also free popcorn, so there. Totally agree with Mark whittle about 5ReelFilm, How refreshing to see a company that will show classic films in such congenial surroundings as the Adelphi pub in Leeds, good food, real ale and real film fans. Perfect timing to show at 5pm on a Sunday,early enough to have the evening still free to prepare for the working week ahead or for others to meet up for social events. We attended 5RealFilms last film showing, after shopping in the afternoon, dropping into the Adelphi for a late afternoon drink we thought what a good idea it was to see the film being shown as well as having a relaxing drink. What we have found is a perfect finish to a Sunday. 5RealFilms are a young company going places giving a service different to others, we have not enjoyed a film as much for years due to their understanding of what film buffs want and as the word begins to spread about 5RealFilms Adelphi film showings attendances will begin to soar so booking will be advisable and at £5 per ticket plus free popcorn it is so cheap you can afford that extra drink.